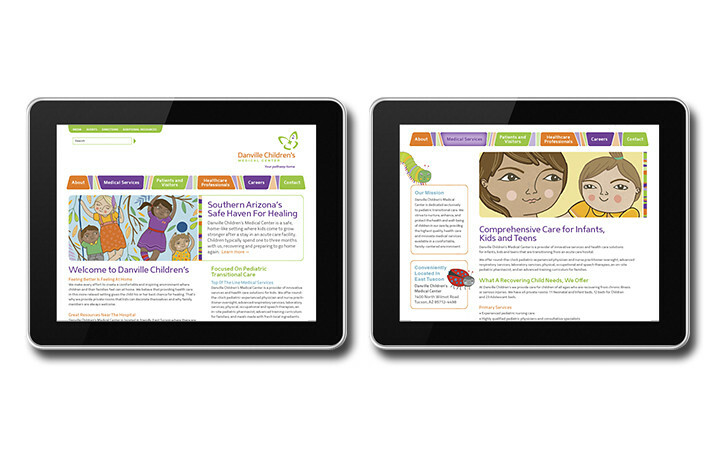 Brand and environment design for Tuscon's transitional-care hospital for children. 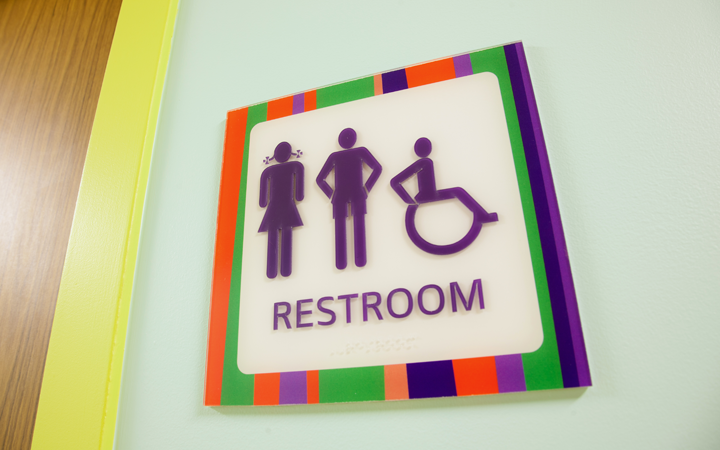 Creating a hopeful place for patients and their families. 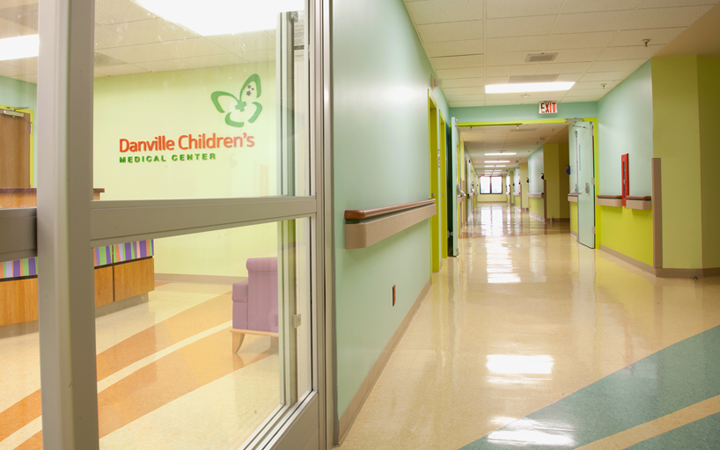 Danville Children’s Medical Center was a brand new care facility serving children in need of long-term medical care. 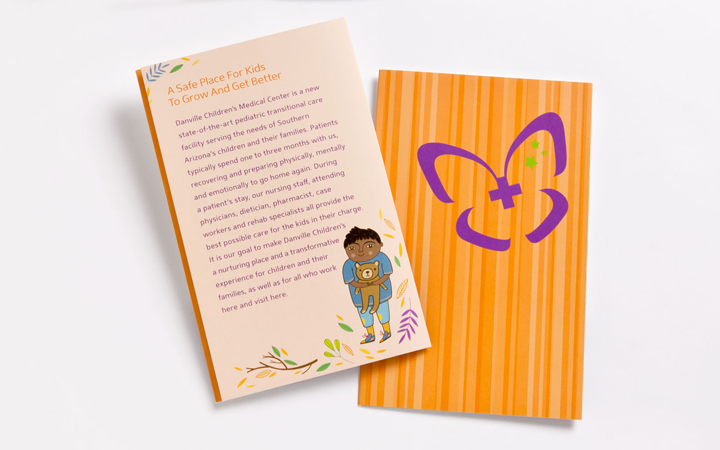 We created a vibrant brand identity and environment for families who need some hope. 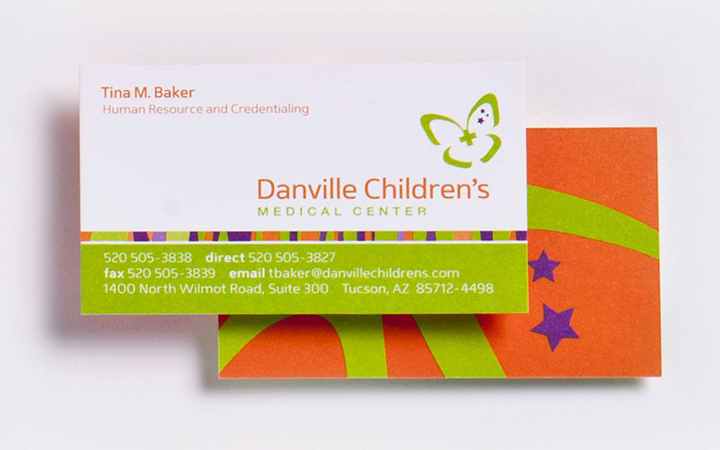 Tucson, AZ was in desperate need of a pediatric long-term care facility. The closest one was 90 miles away. 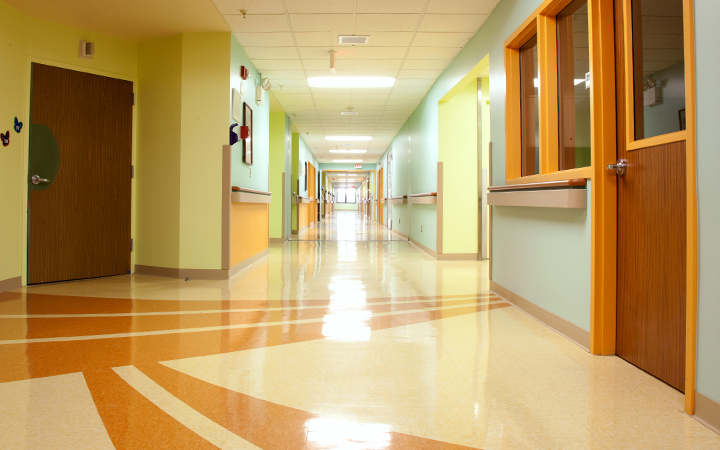 Sadly, children in need of long-term care often wound up in nursing homes for the elderly. 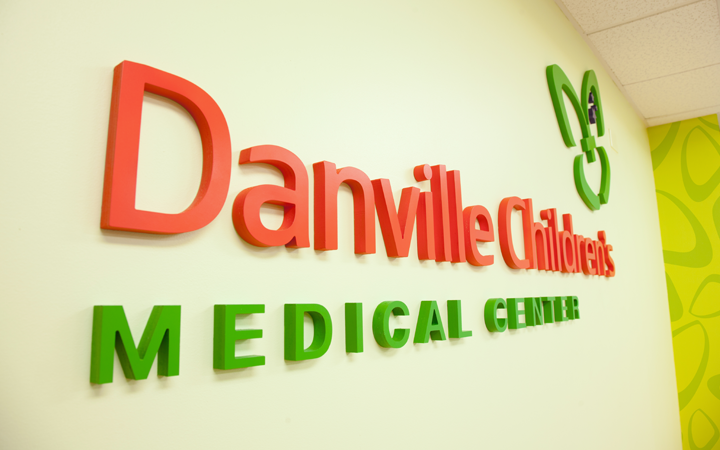 To solve this problem, Danville Children’s Medical Center was planning to open a 46-bed transitional-care hospital for children. This was one of our largest challenges yet. 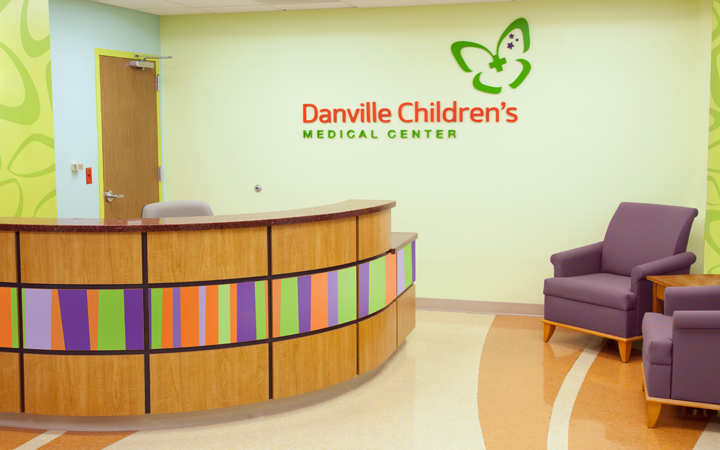 Danville Children’s Medical Center hired us to create a new brand identity, including environmental design and signage for the interior and exterior spaces. 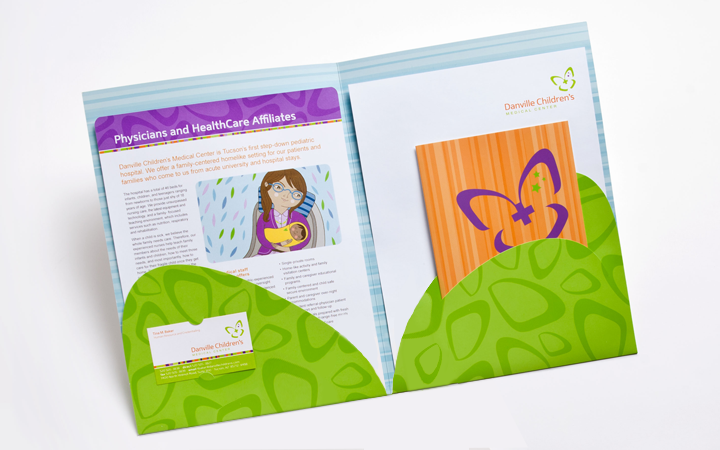 The brand needed to be child-friendly and compassionate, as well as progressive. 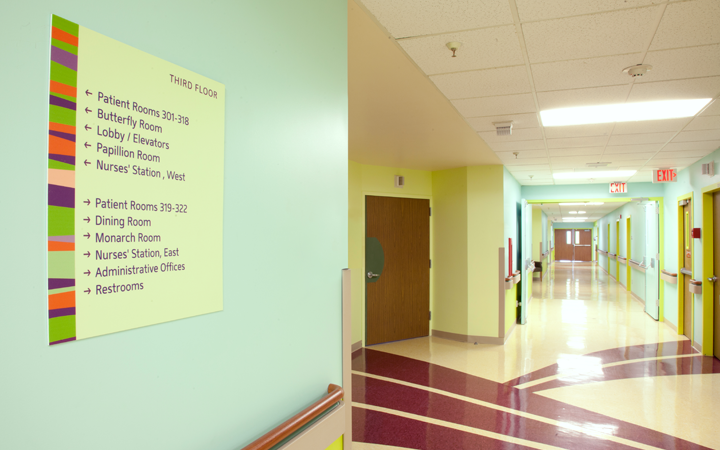 It needed to transform an old nursing home that hadn’t been used in over 20 years, into a state-of-the-art facility that was a nurturing, vibrant and hopeful place for patients and their families. 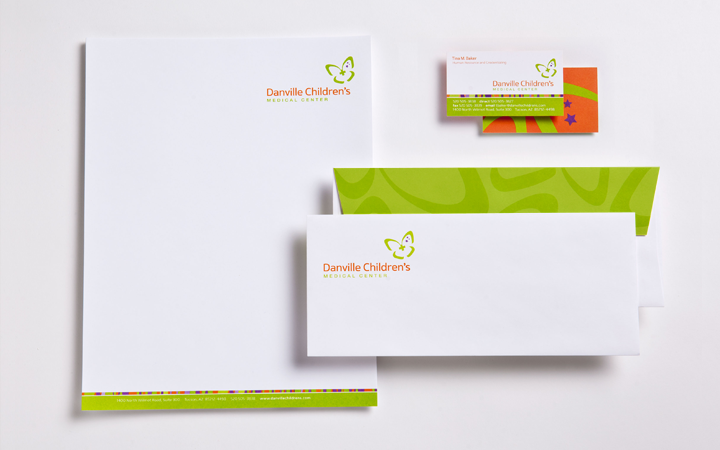 We built the Danville Children’s brand from the ground up along with Bonehook, a communications studio in Portland, Oregon. From the imaginative floor patterns to playful wall murals, color palettes and lighting, everything was reimagined and recreated. Principles of color theory were utilized to set the proper tone for an environment of healing. Anke Weckmann was commissioned to create a series of illustrations that were designed to evoke a hopeful, positive feeling. 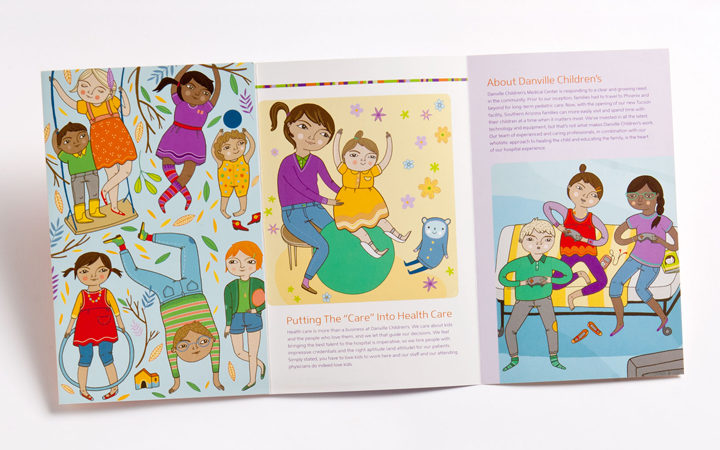 These illustrations were used throughout the brand materials and hospital interiors. Common areas were designed with bright colors to be invigorating and stimulating, while the patient and treatment rooms utilized a secondary palette that was more subdued to evoke a calm and soothing vibe. 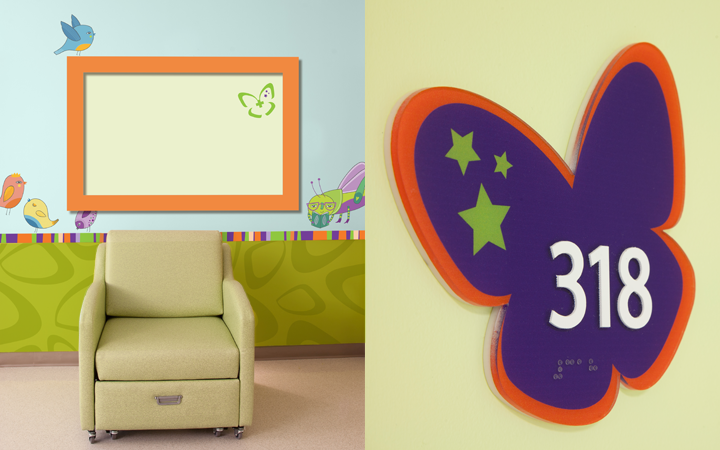 The theme of transformation was used throughout the brand identity system, from the logo to the printed materials, to the signage. 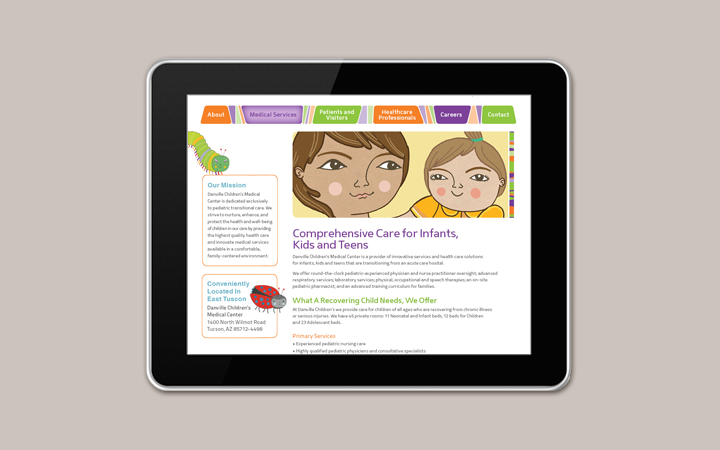 We designed the website as a primary resource for patients, families and medical professionals in need of pediatric transitional care information and services. 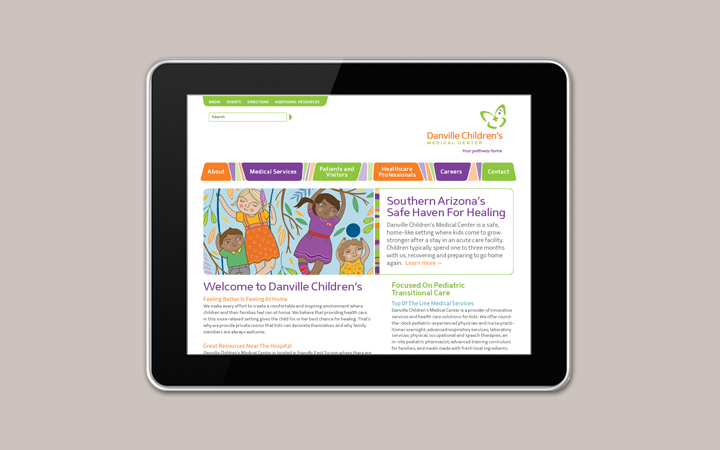 Ease of use was vital to families that are already dealing with high levels of stress. It was important that information was well organized and easily accessible. 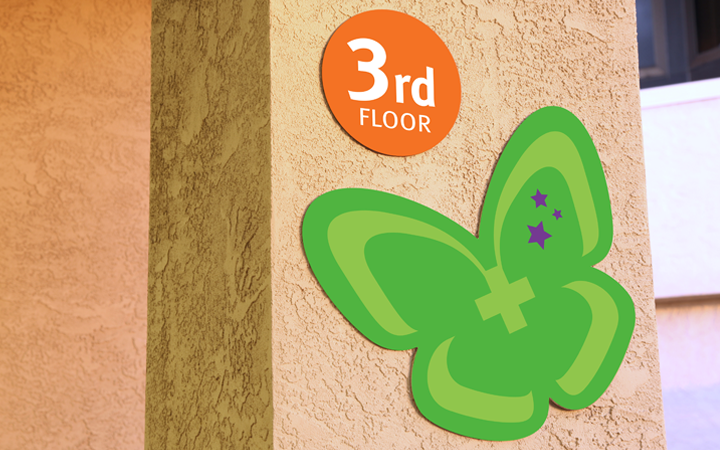 What was once a dark and tired, uninspiring space was transformed into a nurturing, vibrant and hopeful place where patients and their families could focus on healing.